Sonbul, S., & Schmitt, N. (2013). Explicit and implicit lexical knowledge: Acquisition of collocations under different input conditions. Language Learning,63(1), 121-159. Jarvis, S., & Pavlenko, A. (2008). Crosslinguistic Influence in Language and Cognition. New York and London: Routledge. Jeon, E. H., & Yamashita, J. (2014). L2 Reading Comprehension and Its Correlates: A Meta‐Analysis. Language Learning, 64(1), 160-212. Wolter, B., & Gyllstad, H. (2013). Frequency of input and L2 collocational processing. 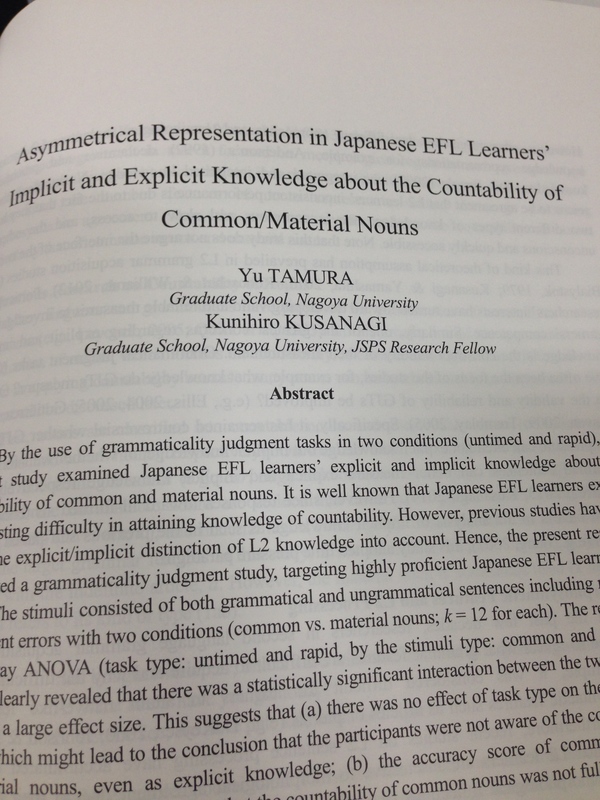 Studies in Second Language Acquisition, 35(03), 451-482. Godfroid, A., Boers, F., & Housen, A. (2013). AN EYE FOR WORDS. Studies in Second Language Acquisition, 35(03), 483-517. Baba, K., & Nitta, R. (2014). Phase Transitions in Development of Writing Fluency From a Complex Dynamic Systems Perspective. Language Learning. 64(1), 1-35. Sparks, R. L., & Patton, J. (2013). Relationship of L1 Skills and L2 Aptitude to L2 Anxiety on the Foreign Language Classroom Anxiety Scale. Language Learning, 63(4), 870-895. Lim, J. H., & Christianson, K. (2013). Integrating meaning and structure in L1–L2 and L2–L1 translations. Second Language Research, 29(3), 233-256. Prince, P. (2013). Listening, remembering, writing: Exploring the dictogloss task. Language Teaching Research. Has the framework adopted in the course (i.e. stressing the interaction between bottom-up and top-down processes) been useful to you; why or why not? Has the emphasis on chunking been useful to you; why or why not?